Tomb Raider's executive producer Scot Amos has revealed that the game has made Square Enix a profit. Back in the early portion of 2013 Square Enix published several big name titles that it would be gigantic sellers. To their credit, the games in question, Tomb Raider for instance, all sold well. That being the case, they didn't do as well as Square Enix had expected and helped to contribute to a 10 billion yen loss that left many within the company staggered. It's now been revealed however that, despite the publisher's early disappointment, Tomb Raider wound up being profitable after all. "By the end of last year - Tomb Raider is in the black," said Scot Amos, the game's executive producer. "We've crossed the line of profitability for the last-gen and PC versions." While this is obviously good news for the rebooted franchise, Amos says its future was never in question. "As a franchise, Square Enix is clearly invested in us," he said. "They already let us get kickstarted on a sequel and they backed us with this [the game's upcoming Definitive Edition]." Amos dismisses, in turn, the idea that the Tomb Raider: Definite Edition, which will add new content and improved visuals for the PS4 and Xbox One, will be just a cash grab on the part of the publisher. "Square didn't approach us saying to do XYZ, at the end of the game. The dev team said 'there's all these things that we want to do', but we'd pushed those machines to the limit at the time. So it was us who approached both Square Enix and our first-party partners at Microsoft and Sony." 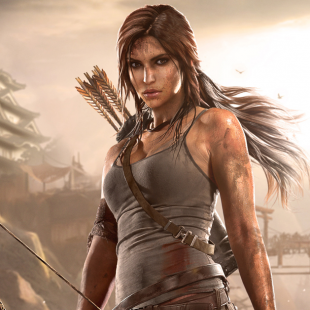 Regardless of who said or did what, Tomb Raider's improved sales is undeniably good news. We can only hope that other developers and publishers perhaps take it as a sign that you don't need to sell every last copy of your game in its first weeks. Sometimes the long run can be just as rewarding as the sprint.